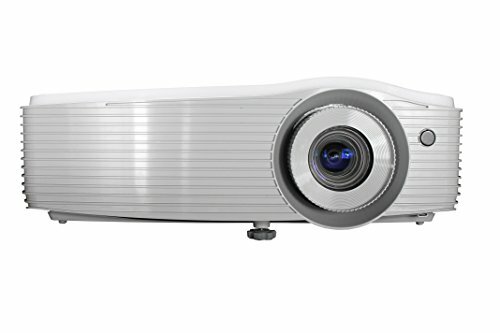 The best 5000 Lumen Projectors give you the brightest images even in open areas and large hall where you are giving the presentation to a large group of people. Some of such places where you should need 5000-lumen projectors are board rooms, training rooms, auditoriums, marriage hall, conference rooms, clubs, and so on. These are the places with the large area and a large number of people who need some lights around them for several purposes. And, the best 5000-lumen projectors work best even in the room with ambient light while being the best in completely dark rooms like a home theater. The best 5000 Lumen Projectors are available in the market from all major brands like Epson, Samsung, Dell, InFocus, Optoma, etc. have projectors with 5000 or more lumen. The only thing that you need is “decide upon where you will give the presentation,” “if you need a portable or non-portable projector,” etc. 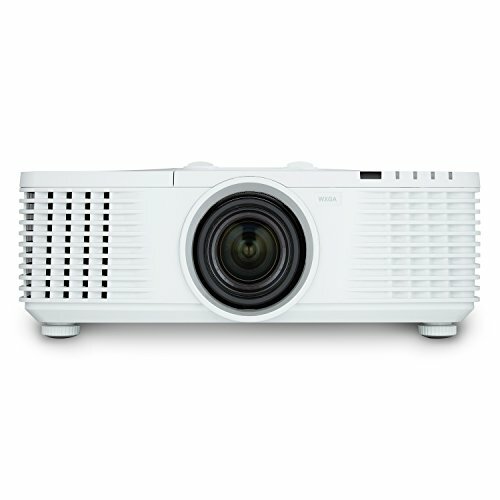 Projectors with 5000 lumens are available in various shapes, design, and sizes. You can even get portable projectors to carry with you for purposes like giving presentations on the go or as and when required like from one meeting room to another in the office. When you need to be absolutely sure about using the projector in just about any type of light conditions, 5000 lumen projectors should be perfect for you. And the way these projectors are also quite recommended for advanced movie experience, there’s another reason why you should one of these top five. Beginning with JVC LX-WX50, 5000 lumens and 4000:1 Contrast ratio is what this projector is up and proud about. Resolution doesn’t disappoint as well as it is 1280 x 800 for widescreen entertainment. Offering Lens shift, Keystoning and Corner correction; this projector is convenient enough to operate. And with 3D DLP technology, this refined looking projection machine does match the optimum visual standards. On the list, we have two projector offering 5000 lumens of brightness, namely BenQ SX912 and ViewSonic Pro852HD. 3D DLP technology for top notch picture quality is plus point for both of these projectors. On comparing contrast ratios, you’d find that the BenQ offers 11000:1 whereas the ViewSonic Pro852HD offers 8000:1. So BenQ is clearly having a denser picture. Sadly, both the projectors lack MHL support and offer the usual HDMI, USB, VGA, RS-232, LAN, S-video and some more for audio extension. Moving on, the one with 5200 Lumens on the list is the Epson PowerLite 4650 with 1024 x 768 XGA resolution and deploys 3LCD technology for picture projection. With a wide range of short throw, you can say this projector can be setup in small spaces as well. Another one with an XGA resolution is the Optoma X600 which has 3D DLP picture and has Creston Roomview Network Control and RS 232 control. The contrast ratio you’d find here is 10000:1 which compensates for the usual lack of richness found in DLP picture. The last two projector as well lack MHL, but have full connectivity support for other devices.